Balancing is an extremely critical part of an engines operation expectancy and performance. Balancing ensures the lifespan of an engine by reducing friction, eliminating vibration and releasing available horsepower. 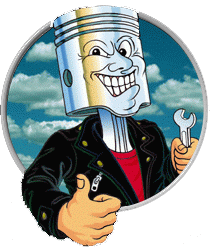 When balancing an engine each rod and piston is weighed and balanced so that all are exactly the same. Rod bearings and rings are also weighed and recorded. 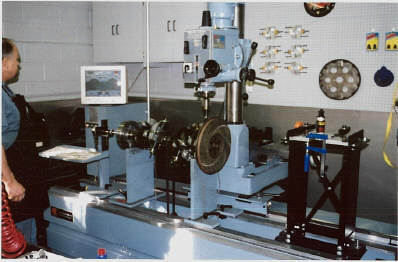 All of these weights are then recorded into the computer and used in a formula to determine a “bobweight”(simulates rod and piston rotating weight). 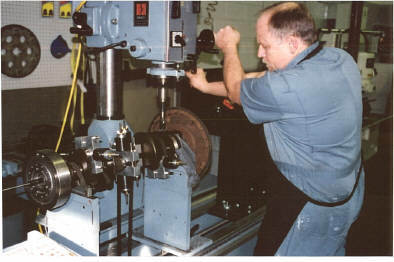 Bobweights are then installed on the crankshaft, then spun on the balancer. The computer reads the amount of imbalance and we correct it on the crankshaft accordingly. In this image material is being removed from a Chevy V8 to both lighten and balance the rotating assembly.